Guesswork, 16mm film, sound, 11 minutes, 1979. Filmed in the toilets at the London Filmmakers’ Co-op in Gloucester Avenue, Primrose Hill, London. 4 X LOOPS, performance for four 16mm projectors with loops (20′ approx, 1974). Performed at Camden Arts Centre during the Valie Export show, 2004. 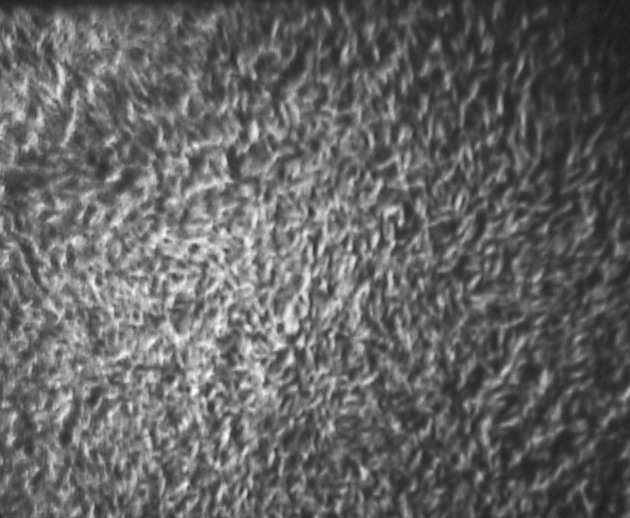 Water Water, 16mm film, silent, 11 minutes, 2003. Zoetrope, DV, 3 minutes, silent, 2010. One of an occasional series of video works that explores naturally occurring Moiré patterns. 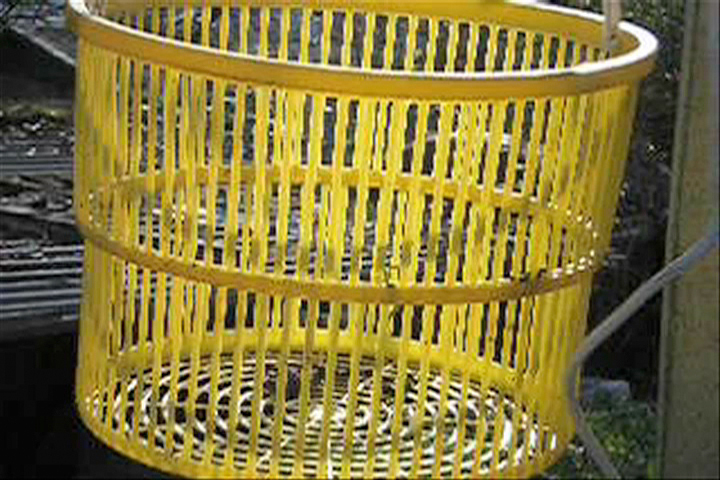 Plastic peg basket filmed in a garden in Umbria. Designed to be shown as a continuous loop on a small monitor. Tobacco Shed (2010) is one of a series of films based on agricultural buildings, mostly concerned with tobacco production, in north west Umbria. An extract is viewable via the Film and Video page. 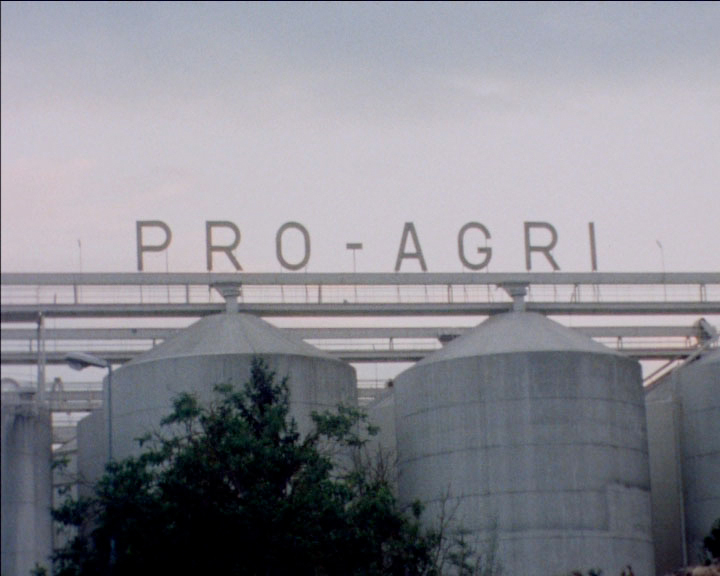 Pro Agri, 3 minutes, silent, 16mm, 2009, is a timelapse film of a tobacco processing plant in Umbria. Two hours, the first before sunset, the second after, are compressed into three minutes. Double Fence, 20′, sound, DV, 2010, is another in the Moiré series. It was filmed from a hotel balcony in Porto Potenza Piceno in the Marche, Italy, and consists of four five minute shots, two early morning and two late afternoon. 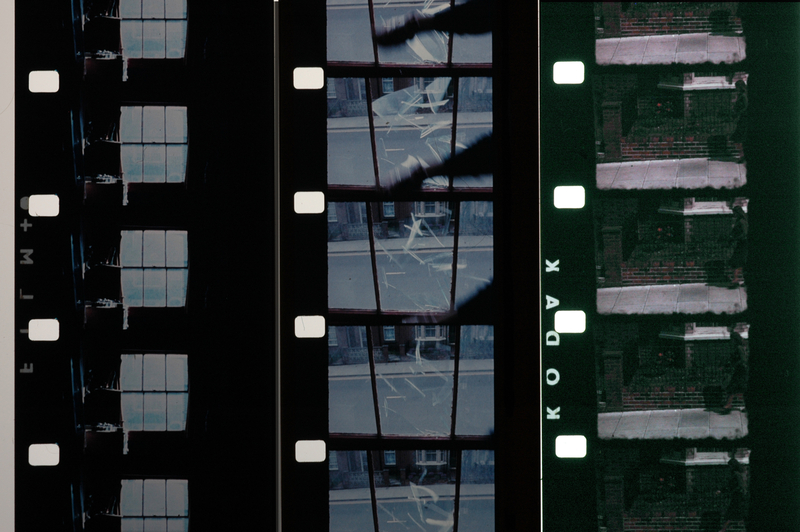 Four Toronto Films, 16mm film in four sections, Back and White & Colour, 16 minutes, silent, 2007. 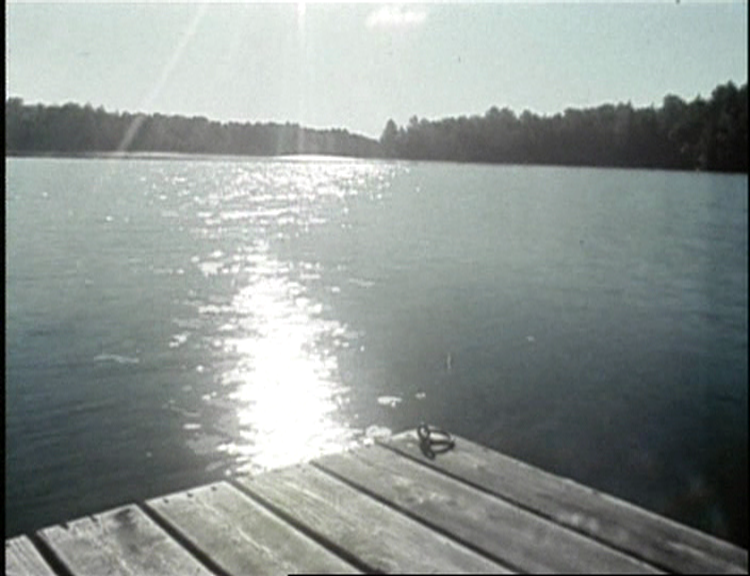 The films were made during a residency at LIFT film workshops in Toronto. Four Toronto Films, Koshlong Lake timelapse section, 3 minutes, 2007. Risoni, 2004, double 16mm film loop for single projector, indefinite duration. In this film installation I wanted to simulate film grain. The work comprises two identical loops of multiply-exposed footage of animated minestrone pasta, the Risoni of the title. Both loops run simultaneously through a single projector. One loop is 250 frames long, the other 249, so that each time they run through, every ten seconds or so, the synchronisation between the loops shifts by one frame. It takes 42 minutes to exhaust all the permutations. Matrix, 16mm colour film, silent, 7 minutes, 1999. The film is composed of receding planes in a landscape: a back garden and the houses beyond. The wooden lattice fence, visible in the image, marks the border between enclosed and open, private and public space, and forms both a fulcrum for the work and a formal grid by which the shots are framed and organised. 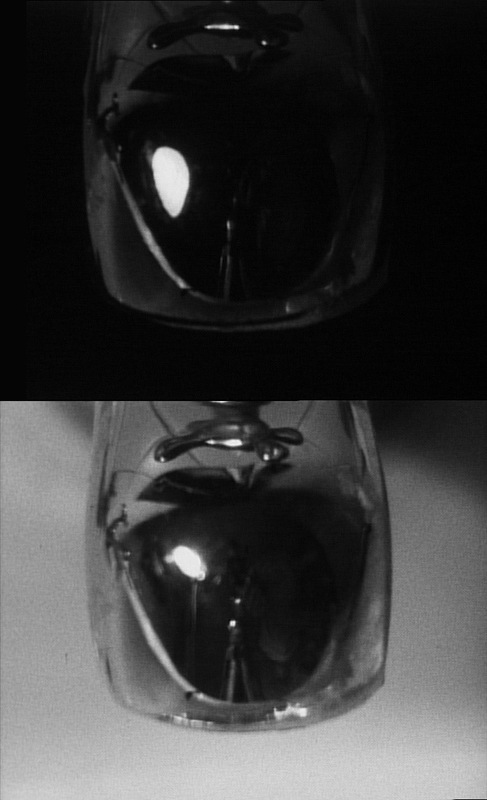 Pistrino, 16mm black and white film, silent, 9 minutes, 2003. The film is composed from thirty-second long time-lapse sequences, filmed in northwest Umbria. 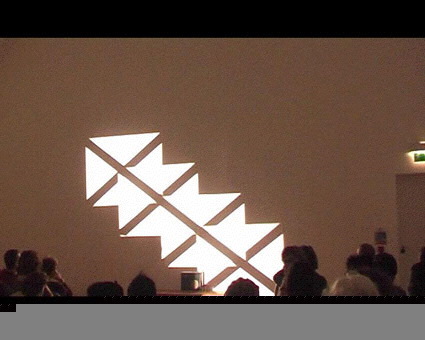 2nd prize, Media City Festival, Windsor, Ontario, 2002. 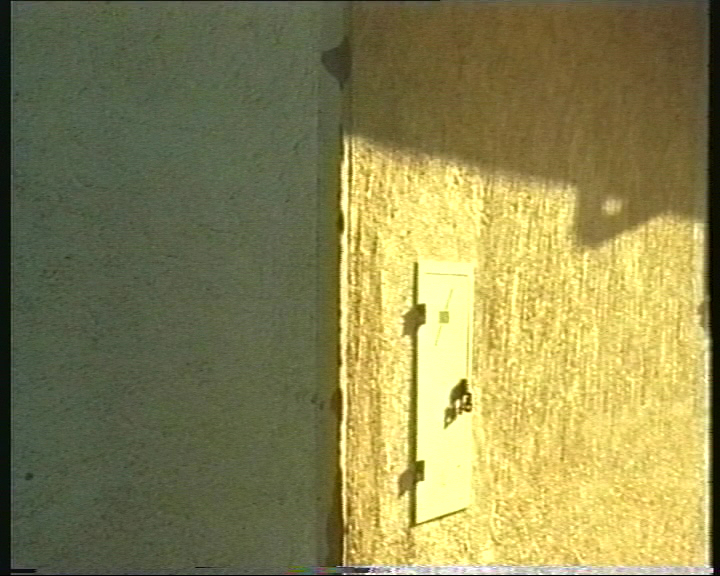 Object Studies, 16mm colour film, silent, 16 minutes, 2005. A sequence of short films, each based on a dominant colour. Extensive use of time-lapse and frame by frame filming generates scintillating juxtapositions of light phenomena. Filmed in north west Umbria. 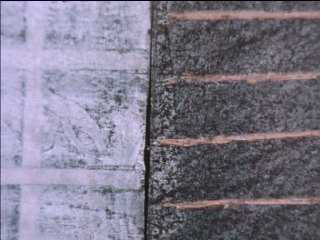 Minutiae, 16mm colour film, sound, 1 minute, 1990. Minutiae was made for the BBC 2 programme The Late Show, and was filmed in the same studio. The aim was to make an event-specific work that would contrast with the way the studio appeared on TV. 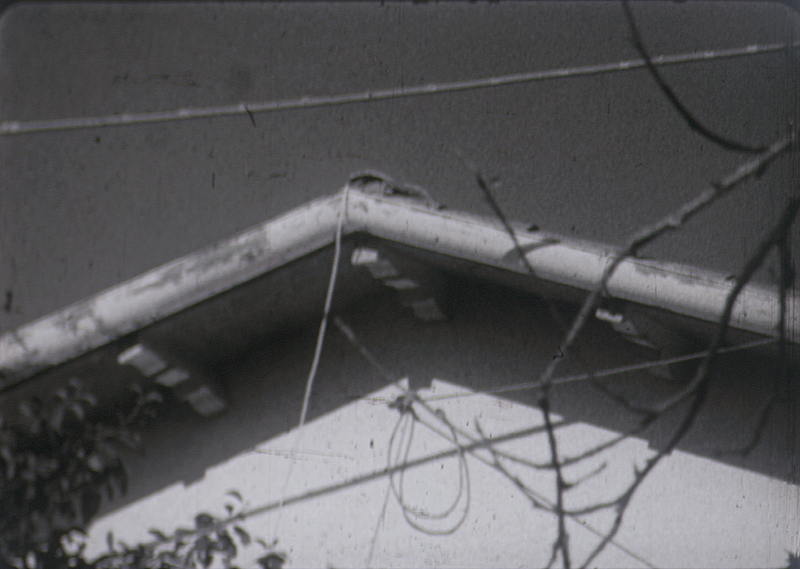 Quartet, colour and black & white; white 16mm film, silent, 8 minutes, 2007. A sequence of twenty three shots of a room occurs four times, twice in colour, twice in black and white. The two colour sequences follow a strict filming plan, the second, black and white, pair are freer. 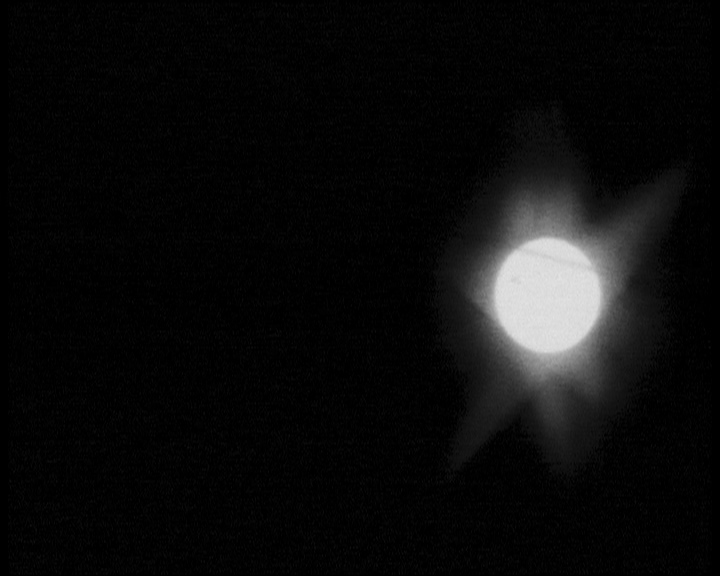 The Transit of Venus, 16mm black and white film, silent, 2 minutes, 2005. Time-lapse film recording the Transit of Venus in 2004. Transits occur in pairs every 105 to 120 years. The next one will be in June 2012. Umbertide, Super 8 film, 10 minutes, silent, 1989. Shot in a garden near Umbertide, Italy. 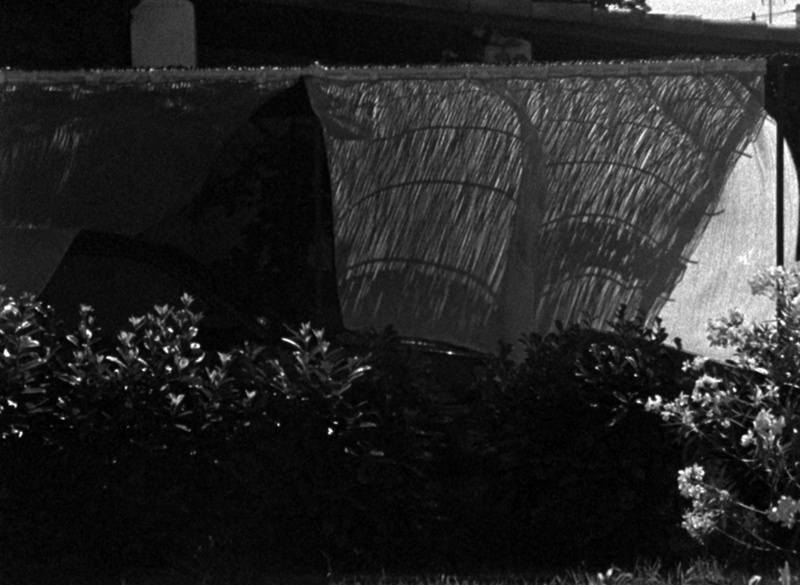 Penumbra, 16mm black and white film, silent, 9 minutes, 2003. Penumbra consists of a series of continuous overlapping dissolves on a grid of white bathroom tiles, which are uniformly framed throughout the film. First prize, Museum of Contemporary Cinema, Madrid, 2004. 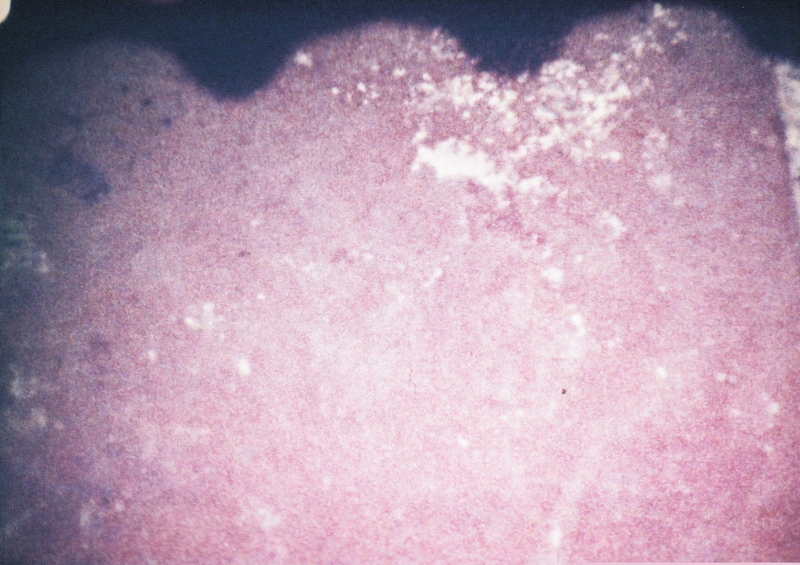 Correspondences, 16mm colour film, silent, 16 minutes, 2011. Correspondences is a film made from a set of four paintings by Angela Allen, each of which is based on the three complementary colour combinations plus one black and white pair. 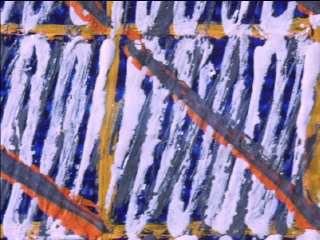 The film’s structure is strictly derived from that of the paintings, which are cellular and based on a 14 x 14 grid. The film is made frame by frame in planned single-frame sequences. Panni, 16mm colour film, silent, 3 minutes, 2005. Panni is constructed from interlaced single frame sequences, alternating with shots made at 24 fps and slower. It was shot in a garden in Umbria on the last day of 2004. 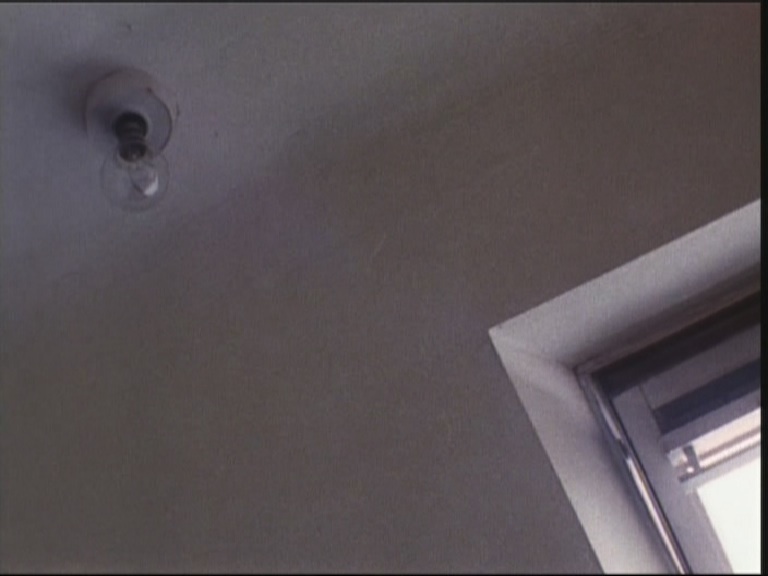 Window, 16mm film for three projectors, sound, 3 minutes, 1974. Window is based on the windows in the room I lived in as a student in Reading. The left screen is a time lapse of a single day, the right screen is a real time take of the same view and the centre screen works through a set of sound-image conjunctions that culminate in the window being smashed. 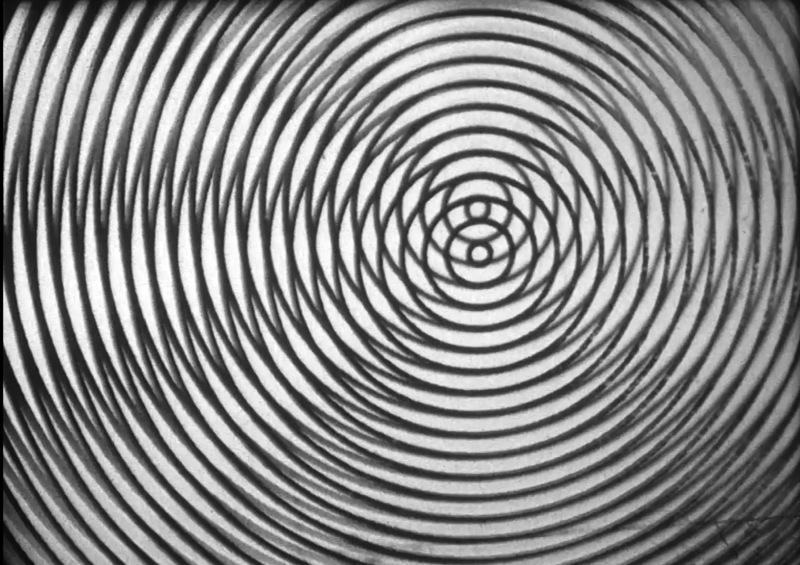 Rhythm 1, black and white 16mm film (un-split Standard 8mm), 4 minutes, sound, 1974. Rhythm 1 permutates four possible camera – subject relationships; still camera and moving subject, vice versa, still camera and still subject, moving camera and moving subject. 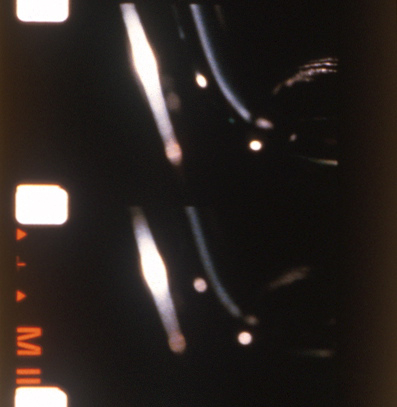 Each side of the film was exposed twice, using a hand powered propellor in front of the lens to arbitrarily generate three possible combinations of image; no exposure, single or double exposure. The sound track is the noise of the sprocket holes (48 per second @ 24 fps projection speed). Now Wash Your Hands, 20 minutes, DV, 2006. Now Wash Your Hands is a continuous twenty minute loop designed to run on a 14 inch CRT monitor. Each shot is composed of two alternating frames that oscillate when presented in interlaced mode. The sound is the sync sound accompanying the frames. 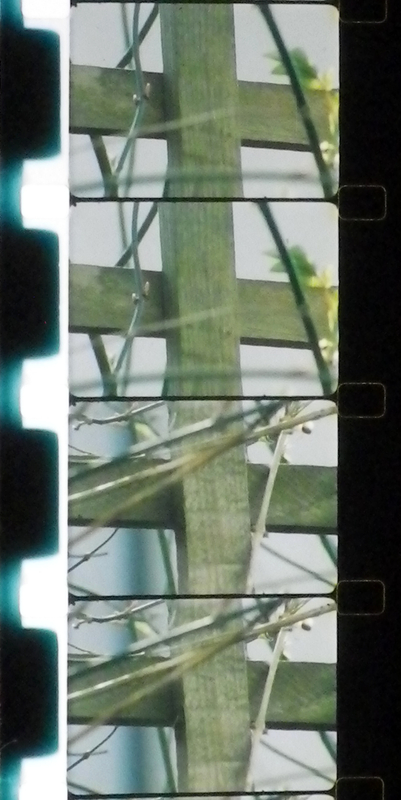 Sequence, 16mm colour film, silent, 3 minutes, 2008. Sequence is a complete record of a painting by Angela Allen, and from which its structure is strictly derived. Each square in the grid painting is recorded as a single frame of film, left to right, top to bottom. The process is then repeated with two frames per square. 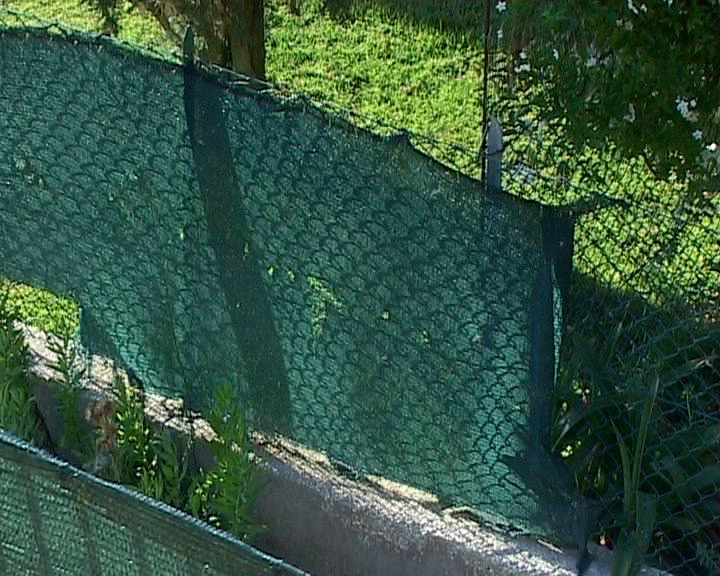 This film is a companion-piece to Interruption and forms part of the series that includes Correspendences. 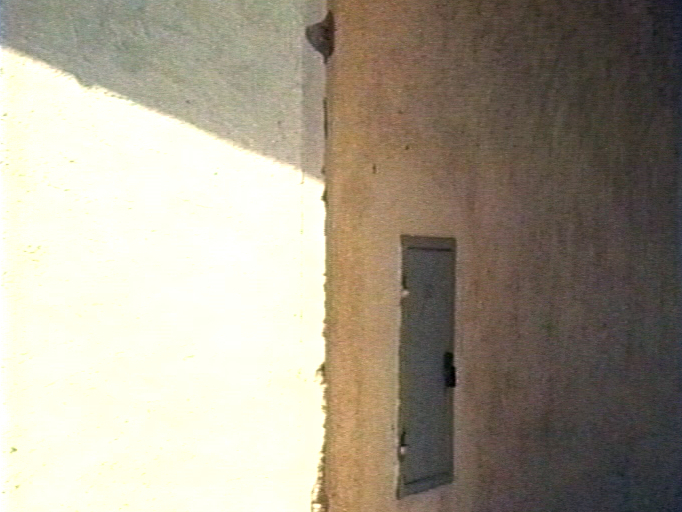 Interruption, 16mm colour film, silent, 16 minutes, 2008. Interruption is based on one of a number of drawings by Angela Allen (whose website can be accessed via the Links page). The film’s structures are more or less rigorously derived from those of the drawing, and are made from pre-planned sequences that are filmed frame by frame. Tobacco Shed, 16mm colour film, sound, 10 minutes, 2010. 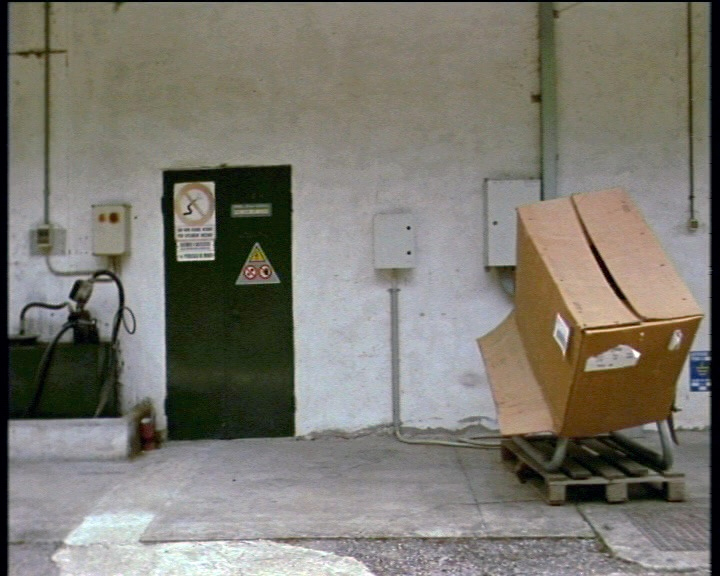 Tobacco Shed is one of a series of films based on agricultural buildings, mostly concerned with tobacco production, in northwest Umbria. The film’s structure is directly derived from the serial nature of the building, which contains curing ovens. 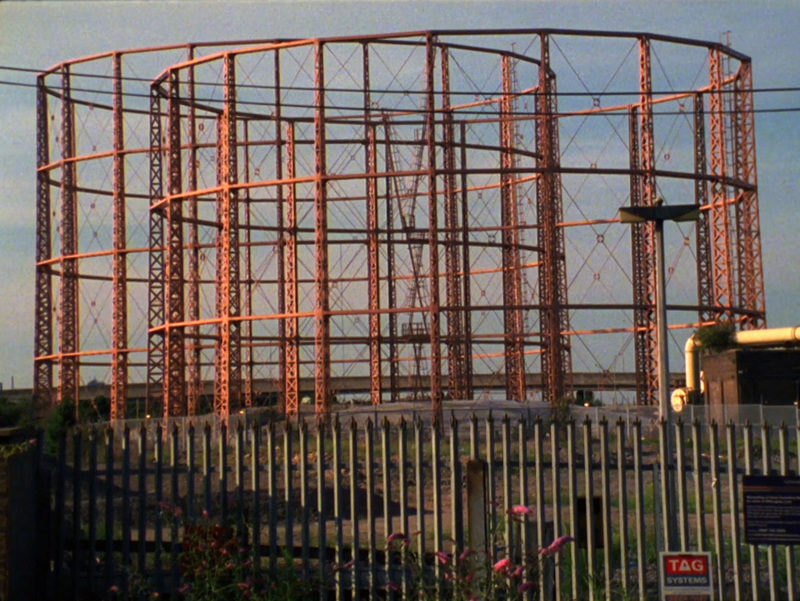 Gasometers Part 2, 16mm, colour, silent, 14 minutes, 2015, is the first of three films of Gas Holders in North London, in this case a pair in Tottenham. The film, which records these redundant structures, which were used to stabilise gas storage cylinders when gas was produced locally from coal, is as much a study in light and atmosphere as it is of the buildings themselves. A variety of strict filming procedures, including time-lapse, were used to generate self-contained sequences. Show at the London Film Festival, 2015 and Ann Arbor Film Festival, 2016. Gasometers Part 3, colour and B&W, silent, 14 minutes, 2015. A single large gas holder near Angel Road, Edmonton. Shown at Black Box, Edinburgh Film Festival, 2015 and Onion City, Chicago, 2016. 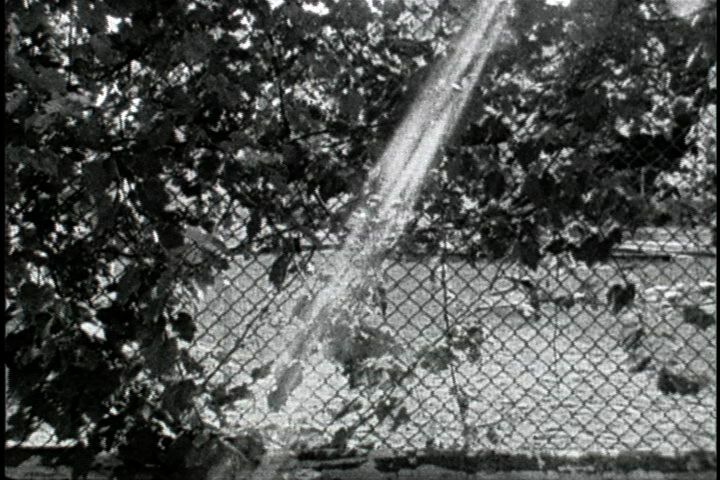 Honoré Nicolas, 16mm film, B&W, silent, 5minutes, 2015, is a study of a garden in Arles, Provence, shot over a one week period from the same camera position, and edited entirely in-camera. The curtain, which conceals a car-port, dances wildly to the Mistral wind. 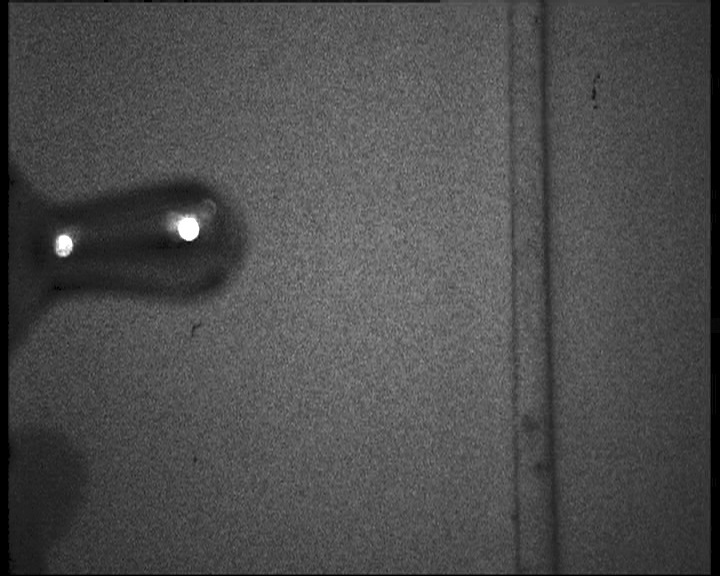 Concentrics, 16mm film, B&W, silent, indefinite duration, 2016, like Risoni (see above) is a double loop work for a single projector. The ten-second long loops are identical, except one is one frame shorter than the other (239 and 240 frames). As the loops are projected they generate Moire patterns, which shift slightly each time the loops go round, as the conjunction between the loops shots by a frame. The work takes about 48 minutes to complete a cycle of all the possible conjunctions.